The colloquial adage, “just chill,” finds a new life in Pine View’s Chill Club. Founded recently, Chill Club is open to elementary school students on Thursdays from 8:00 a.m. to 8:45 a.m. According to club sponsor and fourth-grade teacher Amanda Simon, the premise of Chill Club is to achieve the full state of tranquil relaxation through a seven-step process. “The first fifteen minutes consists of games and moving around, and then we gradually ease into yoga and stretching,” she said. Students are also allotted time to experiment with the various tools in Simon’s classroom, such as toy blocks and yoga balls. 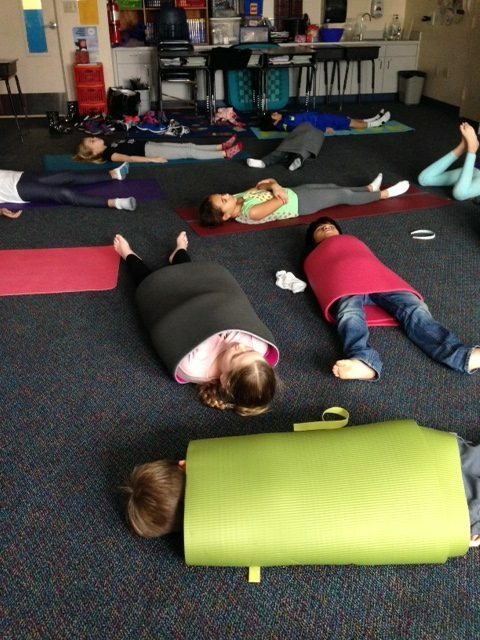 Sometimes students go as far as to rolling around on the floor, like burritos, before beginning to wind down. 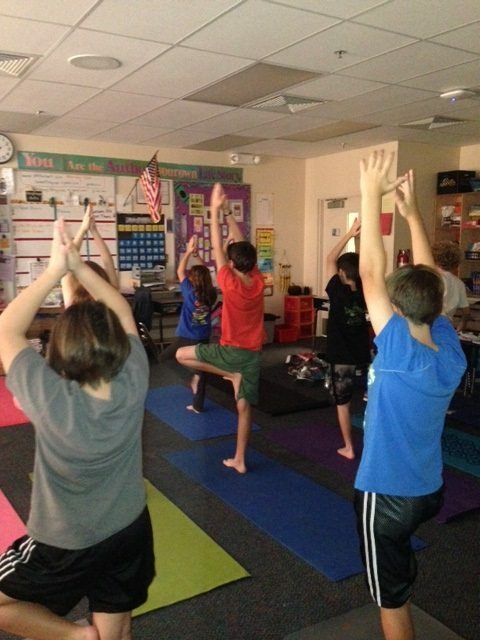 This activity is intended to create a burst of energy that increases the students’ energy level, which ultimately expedites their relaxation process. “The best part about Chill Club for me is that it takes away my stress from schoolwork,” said fifth-grade student Ella Williams. Simon believes the club has been successful. “Due to constraints in space, I can only accept sixteen kids into the club per season,” she said. Each season lasts for six weeks with meetings on Thursdays. As of now, Chill Club is only open to fourth- and fifth-grade students, although Simon hopes to include a third-grade chapter of the club soon.